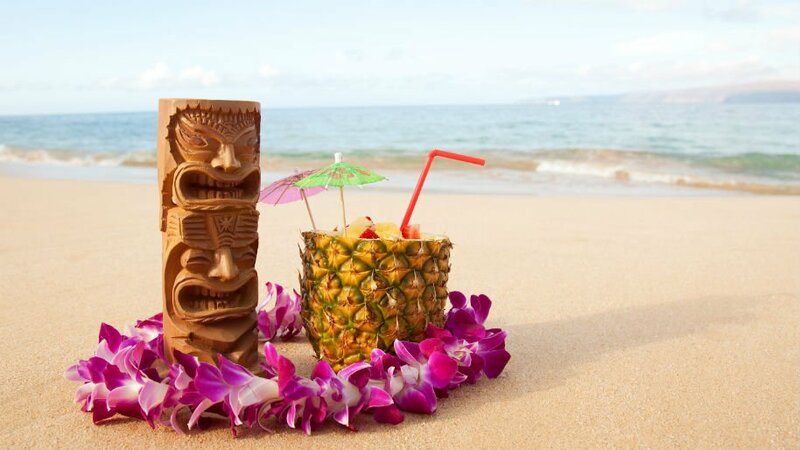 Since July is a very Tiki-centric month (July 10th is National Pina Colada Day and July 19th is National Daiquiri Day) we figured the time was right to do a Tiki Primer. But, what exactly is Tiki? It’s much more than just goofy ceramic glasses featuring island gods and goddesses. 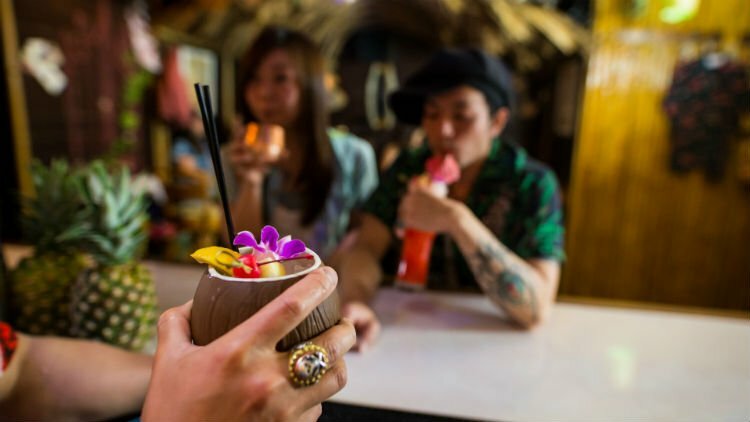 It might seem kitschy and silly at times, but its serious business for the bartenders and mixologists who still create new, delicious, and exciting Tiki drinks to this day. “Tiki today is recognized as a type of cocktail that reminds you of summer, beaches, tropical fruits, and vacation. Typically associated with rum, citrus, tropical fruits and spices,” says George Kaiho, bar manager at Jettison in Dallas. Where did its name come from? “Tiki is an original style of cocktails that was created by Donn Beach (Don the Beachcomber) in the 1930s in Los Angeles and was further commercialized by Trader Vic founder Victor Bergeron. For its design, Tiki took inspirations from the indigenous cultures of the South Pacific. Its cocktail have their origins in simple tropical drinks hailing from the Caribbean that are amplified exponentially using multiple base spirits, notably rum, numerous unusual fruit juices and a dazzling array of spiced syrups and sweeteners. Its dining traditions similarly salute the western Pacific Rim, from China to Oceania, with Pu-Pu Platters an iconic offering. The net effect is a completely immersive multi-sensory experience that transports Tiki guests to an imaginary faraway paradise. Tiki exploded in popularity in the 1940s and 1950s and is seeing a vibrant revival today, both in the U.S. and internationally,” says Miller. Why is rum the foundation for most Tiki drinks? “As noted, the foundations of Tiki cocktails are Rum drinks with their rich tropical history. In point of fact, Donn Beach was originally inspired by the Singapore Sling, a gin cocktail. However, when Prohibition ended, gin was expensive, and Rum was inexpensive, so he went with Rum,” says Miller. “It started out as a Polynesian theme cocktail (Pacific and Caribbean) where the main alcohol of choice is rum. Donn was a Rum Runner during Prohibitio. Prohibition in the 1920’s killed the liquor business in the US. With very few distilleries that survived, the US did not have good booze whereas Caribbean had plenty of rum in production,” says Kaiho. Why has it become popular again in the last few years? “Tiki cocktails have always been popular all over the world since the 1930’s in my opinion. However, when mass-production/manufactured era in the 80’s and 90’s hit, a lot of the “craft” part of tiki cocktails got destroyed by soda-guns, pre-made drink mixes like Pina Colada mix, powdered products like sweet & sour mix. Tom Cruise movie Cocktail is a great example. You still see these things. Craft cocktails in general didn’t fully come back till early 2000’s, plus many Tiki cocktail recipes for Tiki cocktails were secret (Don especially kept the recipes secret to the point where he will pre-package syrups and alcohol so even the employees didn’t know the exact ingredients and ratio of the drinks) People just didn’t know how to make them.Thanks to cocktail historians like Beachbum Jerry, unearthing the reciped of Tiki cocktails, along with the popularity of sophisticated cocktails over a pre-made mix, we are able to make these cocktails again,” says Kaiho. What are some famous tiki-style drinks? “Mai Tai (Rum, Rum, Lime, Orgeat, Curacao). I really like a version called Don’s Mai Tai that has Grapefruit and Absinthe in it. Scorpion (Rum, Brandy, Lemon, Orange, Orgeat) I have a cocktail called Éscorpion, that uses Tequila & Mezcal as a base with Apricot. Pina Colada (Rum, Coconut Cream, Pineapple, Lime) Pina Colada is super good when it’s made properly. Coco Lopez is the classic brand of choice, but I personally like to use plain Coconut Cream so that I can control the sweetness. I had a Sherry Pina Colada with a cinnamon touch last year that was very good. Jungle Bird (Rum, Pineapple, Lime, Campari) It’s like a tiki cocktail for people who don’t like tiki cocktails. Not too much juice with a bitter finish,” says Kaiho. Do you have any advice for Tiki novices? “Tiki cocktails are fun! Please enjoy them this summer and actually all year round. Proper Tiki cocktails have lots and lots of preparation behind it. (I hand peel all the almonds to make Orgeat, my pineapple juice is made from 3 pineapples: 2 of them are roasted for 3 hours before juicing. This summer, I will be making a banana mix with burnt sugar. More people are enjoying, more great Tiki bars or cocktails will be available in town, so let’s keep it going and make Tiki even more popular. One last thing don’t steal that Tiki mug, they are expensive and some of them are one of a kind,” says Kaiho.